My publishers, the wonderful Beautiful Books, say that if you’d like, they will send you a free copy of Speaking of Love because it’s been longlisted for the World Book Day/Spread the Word award. The number of free copies is limited, there are 20 of them, and you need to ask for yours before 1 February. But if you’d like one, email Kat Josselyn at kat@beautiful-books.co.uk with your name and address. 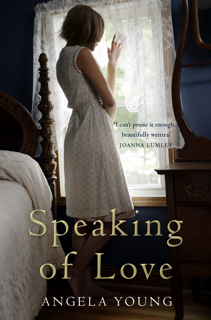 Beautiful Books say that they’re also offering book groups free copies of Speaking of Love because, until February 2008, you can only buy it in hardback, and hardbacks are a bit expensive. Get in touch with Kat if your book group would like copies. When love is not spoken about, a hole is created into which memories, happiness, relationships, trust and eventually people fall into. Mothers fail daughters, who then find themselves failing their own mothers. Parents abandon children through fear; husbands desert wives. However, this is not an heroic tale or a memoir of devastation – but an everyday tale of loss and recovery. It takes a special event, a mother’s first public speaking event since her breakdown, for the years of silence to make way for reconciliation. What I say is Indie publishers rock! This entry was posted in Speaking of Love and tagged Book Groups, free copies. Bookmark the permalink. I’d be happy to send you a free copy, particularly if your reading group is interested in discussing Speaking of Love anytime soon. There are a number of interesting discussion topics relevent to the book which I can also send out pointers for. It’s a wonderfully human, honest and inspiring tale of family relationships and hope, when hope seems all but lost. It has particular resonance at Christmas time too.